← London 2012, Men’s Pool A: Great Britain 2-2 South Africa. Laura Unsworth: Time to Shine. Things were going swimmingly for Great Britain’s ladies in their opening match of the London 2012 tournament. Cruising to a 4-0 win against Japan, the crowd lapping up the performance of their heroes and the clock running down to a comfortable three points. With four minutes left to play, Captain Kate Walsh was struck in the face with a stick and left the field with what was later discovered to be a broken jaw, which threatens to prematurely end her tournament. Walsh is a superb player for her country. She is an excellent defender who never makes a mistake. Comfortable on the ball, a good range of passing, and a threat at penalty corners, she is a vital component in the team and has been since she made her international debut some 13 years ago. She was nominated for the FIH World Player of the year award in 2003, and has captained England and Great Britain since Danny Kerry took over as coach in 2004. With all that in mind, and having seen the influence she exerts over her teammates on, and off the field, it is perhaps stating the obvious that losing their No11 would be a hammer blow to the Great Britain team’s chances. The news is that Walsh is to return to the village, but they have yet to decide whether she can start to play again. Despite this, all is not lost. If, and at this stage, it is still an if, Walsh has to be replaced by Natalie Seymour in the squad, there is someone waiting in the wings with the tools to step up to the plate. That player is Loughborough’s Laura Unsworth. Still only 24, the former Leicester defender already has 79 international caps (47 for England and 32 for Great Britain) to her name and has established herself as a pivotal member of the team. Unsworth made her international debut back in 2008, just after the Beijing Olympics. Aged just 20, she was understandably a little bit raw, and in truth it seemed to take her a little while to adjust to the higher pace and better technical skills of the players she encountered at international level. Danny Kerry persisted with her, seeing ability and potential in her defensive work, and someone with a valuable secondary skill of trapping penalty corners. 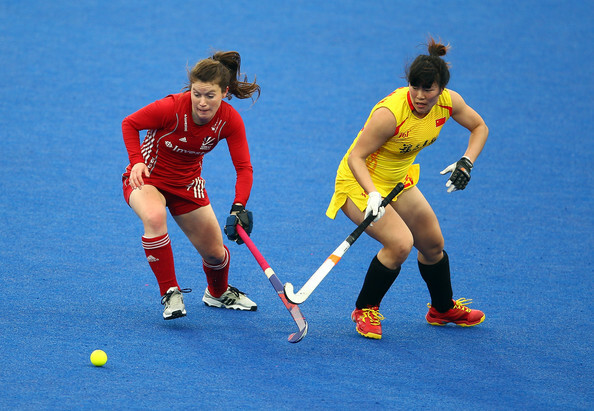 She has repaid that faith, playing her part in the squad winning a host of medals, culminating in their best ever finish at the 2012 Champions Trophy where they won silver. I have watched her development with interest, over the last few years. She seems to be comfortable, as most players have to be these days, playing anywhere across the back four, and her distribution has come on leaps and bounds from those earlier days where she seemed slightly hesitant on the ball and sometimes didn’t choose the right passing option. Now, it is not uncommon to see her calmly pick a pass, or win a foul whilst surrounded by three or four opponents, deep in her own half. The Unsworth of 2008 would not have shown such composure. Walsh was absent for the Investec London Cup in June, after an adverse reaction to some tape used on her ankle. 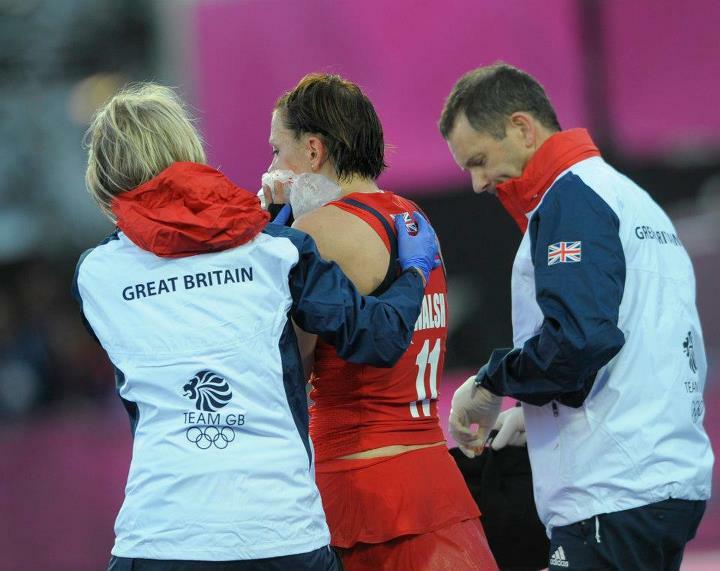 Crista Cullen too, was not available, nursing an injury to her ankle, sustained in the London Prepares series. It was striking the manner in which Unsworth stepped into the breach: The diminutive No4 played a lot more of the games in a central position, and was the chief organiser of the defence and a focal point for any ball distribution around the back. Not unlike the role normally filled by Reading’s Walsh. She showed maturity and leadership skills and tackled absolutely everything that came near her, forming a formidable defensive shield with Georgie Twigg, the deep-lying central midfielder. On the whole, the London Cup was a disappointing tournament for the hosts, however Unsworth was definitely one of the positives to emerge from it. Don’t get me wrong; I want to see Kate Walsh back on the pitch. The experience she has gained from 288 caps and her influence over the rest of the squad are not qualities that should be taken lightly. Quite simply, Great Britain are a much better squad with the Stockport-born defender in the ranks. However, having seen Unsworth step in once already, I am one person who won’t be panicking should the worst happen. Laura Unsworth, this could be your time to shine. 2 Responses to Laura Unsworth: Time to Shine. Thanks for reading the article, Hilary. Glad you enjoyed it. I’m looking forward to seeing Laura get even better over the coming season! Laura is my goddaughter. What a fantastic write up about her progress. Thank you.